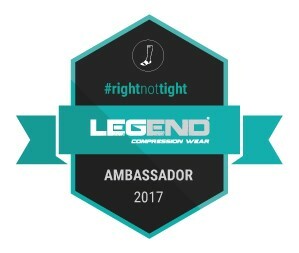 Legend Compression Wear delivers a full line of everyday and performance based compression products and they’ve invited me to join their team as a Brand Ambassador representing their line. This is another good fit as Legend is very philanthropically minded and gives back to and supports many global organizations and causes. Stay tuned for more including great family and friends discounts. This entry was posted in health & fitness, racing, running, triathlon and tagged compression wear, legend compression wear. Bookmark the permalink. Both comments and trackbacks are currently closed.